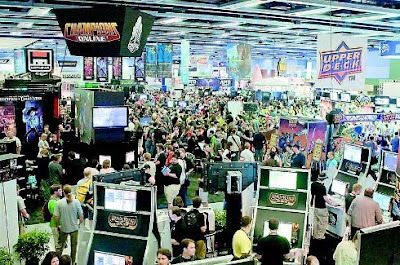 Video game conventions let gamers play the newest games, see beautiful woman, have fun with fellow gamers, and play hours and hours of video games. 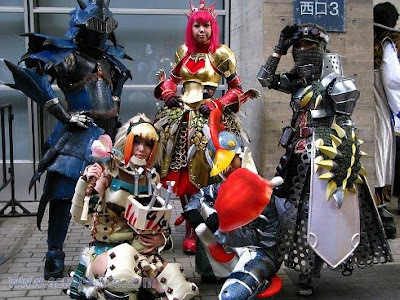 But what are the best video game conventions? 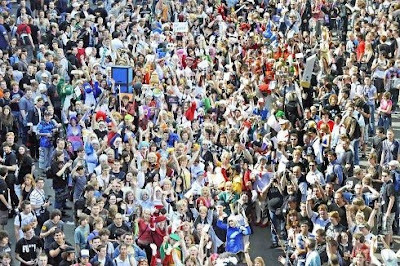 Below is a list of the seven best video game conventions in the world. 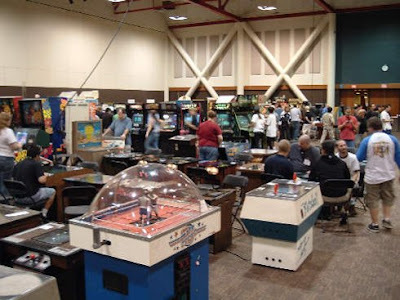 California Extreme is a convention for all games coin operated, pinball, video game cabinets, table top games, and other novelties you would find in an old arcade. 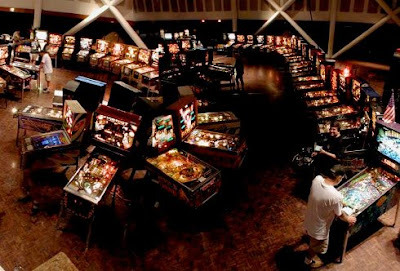 CAX is definitely the smallest of the conventions of this list but it is the best way to relive video games the way many of us played them for the first time; in an arcade. All the games at California Extreme are set to free play so once you get inside you play as many games as you want. If you own at least three of your own arcade machines and want to bring them along so everyone else can play too, you can get free admission (or you can just volunteer). 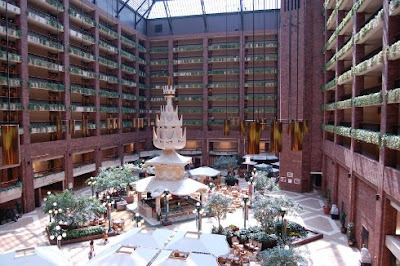 This small scale convention is a nice change of pace from the huge-mega conventions that dominate the rest of the list. 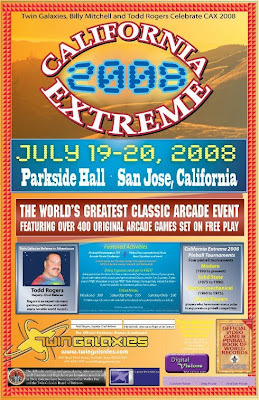 What Makes California Extreme Great? QuakeCon is the largest LAN gaming event in North America. 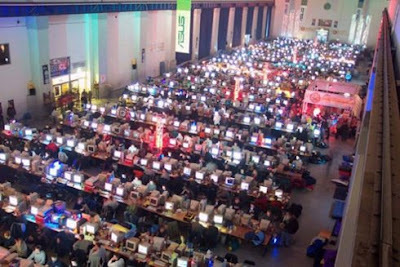 Thousands of gamers bring their own PC and frag their new found friends for hours and hours on end. 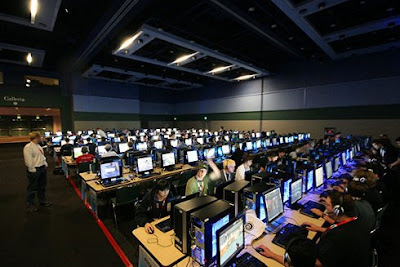 It is every first person shooter fans dream to attend QuakeCon and meet some of the masters of the trade, talk to developers from id Software, and compete in tournaments. And best of all its free. id Software sponsors QuakeCon every year as a "thank you" to their fans, but the entire convention is organized by volunteers and fellow gamers. 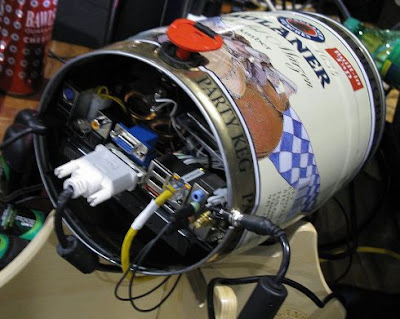 Everyone brings their own PC so you get to see some amazing mods (like the toilet PC) and completely tricked-out systems with all the bells and whistles - the kind you dream of playing on. 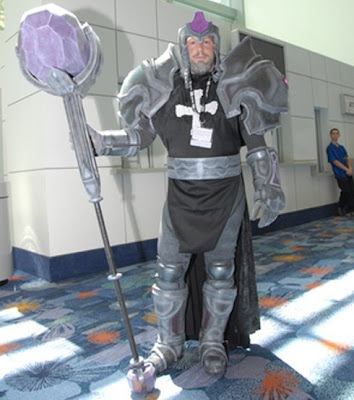 First organized by Blizzard Entertainment in 2005, Blizzcon is an annual gaming convention held at the Anaheim Convention Center in Anaheim, California. 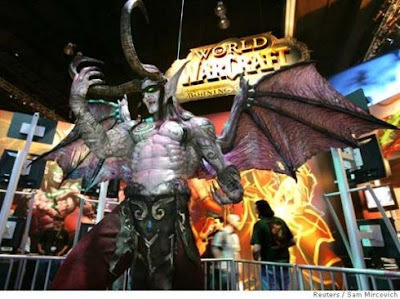 It celebrates Blizzard’s many popular franchises such as Warcraft, Diablo and StarCraft. 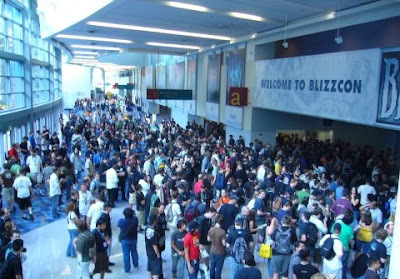 Fans in attendance usually receive bags full of various items related to Blizzard’s franchises. In 2005 a code was inside each Goodie Bag that could be exchanged for a free in-game pet from World of Warcraft (a baby Murloc). At other times there have been passes for closed beta copies of upcoming Blizzard games. 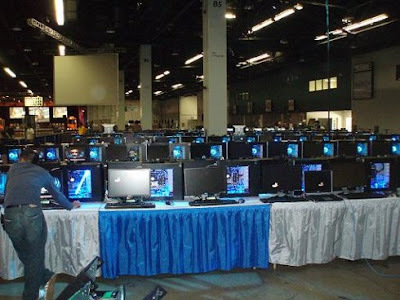 Of course no MMO convention would be complete without a chance for guests to play games in a LAN Party, and BlizzCon has PC's everywhere for attendees to play. How: Buy tickets online. They sell out fast, really fast! 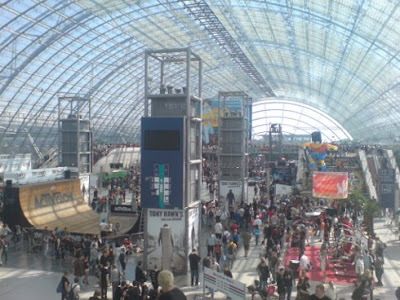 Gamescom is the youngest of the big game conventions (the first was held in 2009) but it is already the largest and most attended European gaming convention. Drawing 245,000 visitors, more than 4,000 journalists, and 458 exhibitors from 31 countries last year, Gamescom has already earned comparisons to E3 and the Tokyo Game Show. Gamescom is like a carnival for video games. There are hundreds of new game demos available from every major publisher, a section devoted to retro games, plus there are climbing walls, soccer courts and even a miniature skate park. 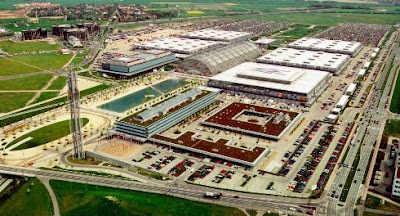 There's even an outdoor area, which offers live music, entertainment, a makeshift beach, and sports so visitors can take a “chill pill” from the hustle and bustle of Gamescom. The Penny Arcade Expo (PAX) is an annual gamer festival held in Seattle, WA (PAX East just started in Boston in 2010). Founded by Jerry Holkins and Mike Krahulik, PAX was created as a weekend-long celebration of gamer culture. Features include a keynote speech, game-inspired concerts, panels on game industry topics, exhibitor booths, after-hours parties, tournaments and freeplay areas. One of the cooler things about this convention is Omegathon, three-day elimination game tournament. Twenty "Omeganauts" are chosen from those who pre-order PAX passes and compete in games from every category throughout the convention. During the PAX closing ceremonies a live championship match between the top 2 Omeganauts is held to crown a champion. In year’s past, championship matches included Pong, Combat, Tetris, Halo 3, Excitebike and Skeeball. Last year’s winner received an all expenses paid trip to Tokyo for the Tokyo Game Show! (see below)! 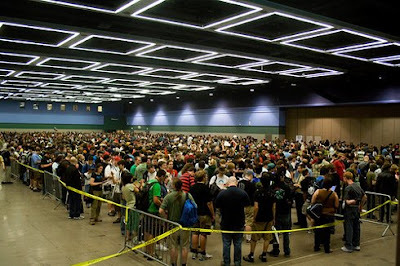 PAX is held on the west coast, but another PAX convention started in 2010 for the east coast. 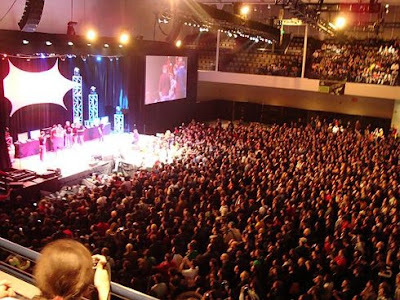 PAX East was held in Boston, MA and had over 52,000 attendees. We wouldn't be surprised to see PAX East on this list someday. How: Pre-registration or buy tickets at the door. Lines are long if you wait. 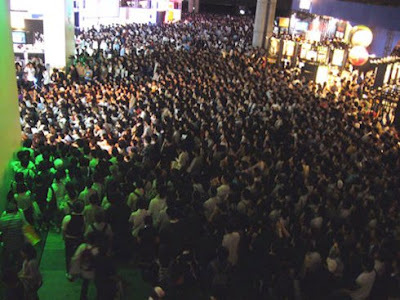 Tokyo Game Show (TGS) is the mother of all gaming conventions and boasts annual attendances well over 190,000 people every year. Every Japanese game publisher (except Nintendo) and most western publishers too, show off their latest games. TGS is the best show for RPG fans because it's usually the first place people get to play new Japanese RPG's. Within the show are many different areas that target specific aspects of video game demographics. 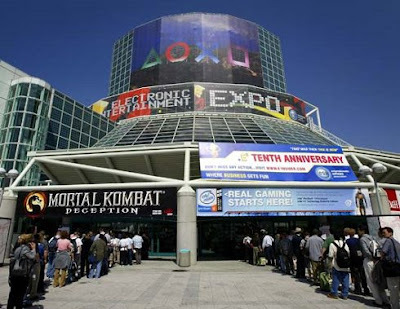 The General Area houses pavilions and booths for most video game companies like Capcom, Sony and Square Enix as well as overseas companies. There is a PC/Mobile area where major Japanese computing and mobile phone companies showcase new products. An area of the convention floor caters to children’s games made by companies like Sega and Taito. The game school area focuses on companies and universities that offer gaming courses to students interested in game creation and design. The first two days are industry insiders only but the last two days anyone can pay 1,000 yen (less than $10) and play games at more than 170 booths. That’s right, this show is open to the general public at an affordable price. So get on a flight headed to Tokyo to experience one of the longest running and largest video game conventions on the planet. What Makes Tokyo Game Show Great? 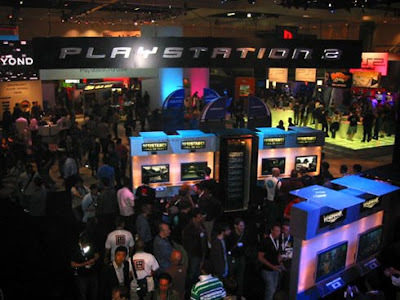 The Electronic Entertainment Expo is an annual trade show for the computer and video games industry presented by the Entertainment Software Association. Almost every new game and hardware release in the USA shows up at E3 first. It's only open to people who work in the industry though, so not every one can attend. Video game companies generally spend more time and money on their presentations for E3 than any other convention. Using pyrotechnics and beautiful women, game developers unveil their new titles for the coming year much to the delight of those in attendance as well as the millions who watch the live presentations online or on TV. E3 has the biggest game announcements and newest demos available. For example E3 2010 will have playable Nintendo 3DS, Microsoft's Project Natal, and Sony's motion controller Move. Plus games like the newest Zelda game for Wii, Gears of War 3, Rock Band 3, Saint’s Row 3 and Portal 2.....AND plenty of surprises nobody knows about.